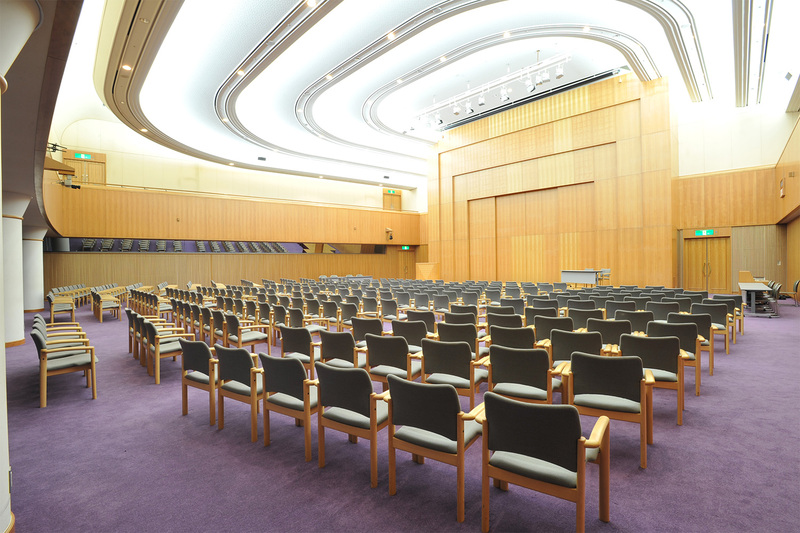 The deluxe International Conference Room is the perfect venue for an international conference. 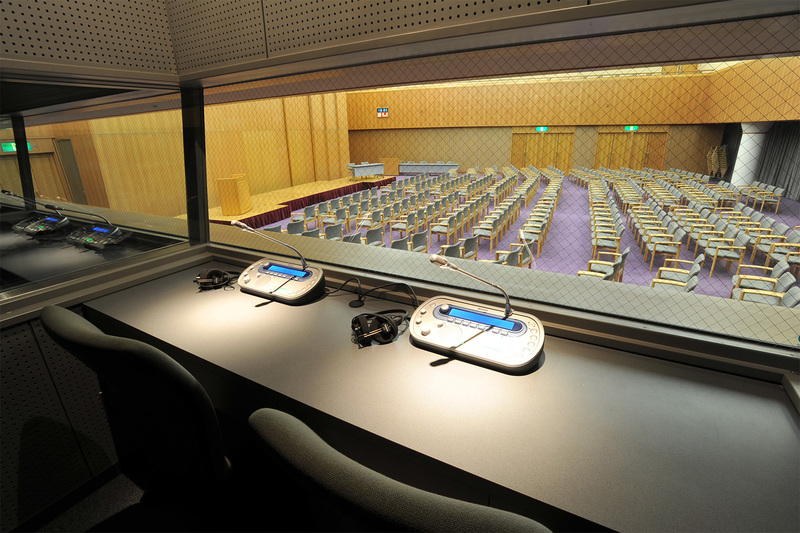 Six simultaneous interpretation booths and advanced conference functions make this hall worthy of hosting a multitude of conferences. 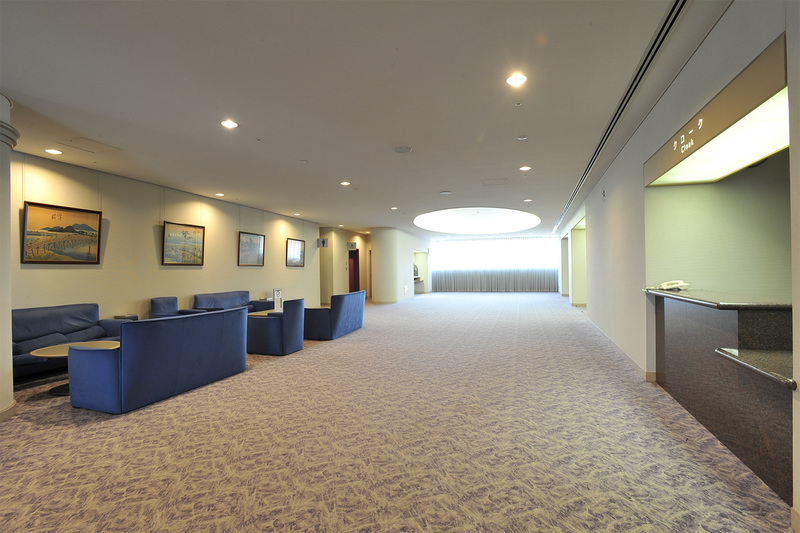 Overlooking Oasis Square, a park lush with trees through the large and bright window, the room is designed for comfort. If the management judges that an extension of rental time is unavoidable and finds no operational hindrances, extension will be permitted. 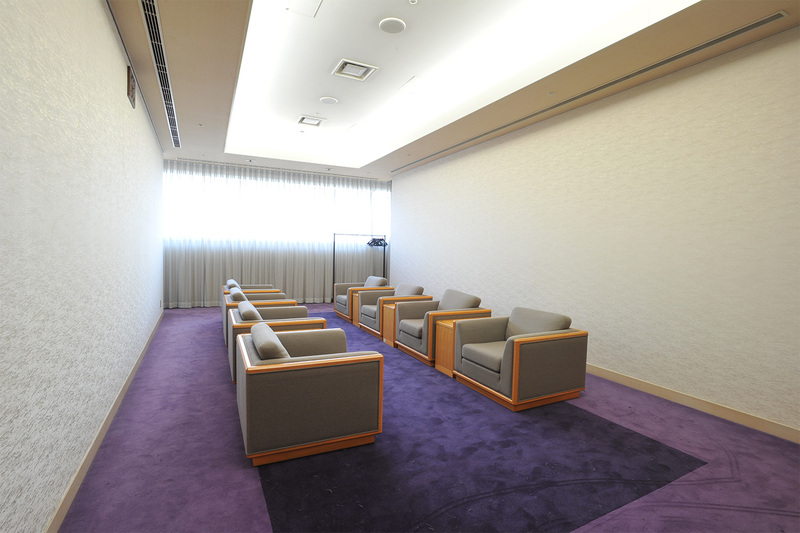 The room fees above include the cost of air-conditioning. It is not possible to rent the time between 12:00 and 13:00, or between 17:00 and 18:00 individually. The above fees apply to a single usage period. The fee is doubled if equipment is used during both the morning and afternoon periods. Each item is available in limited numbers. 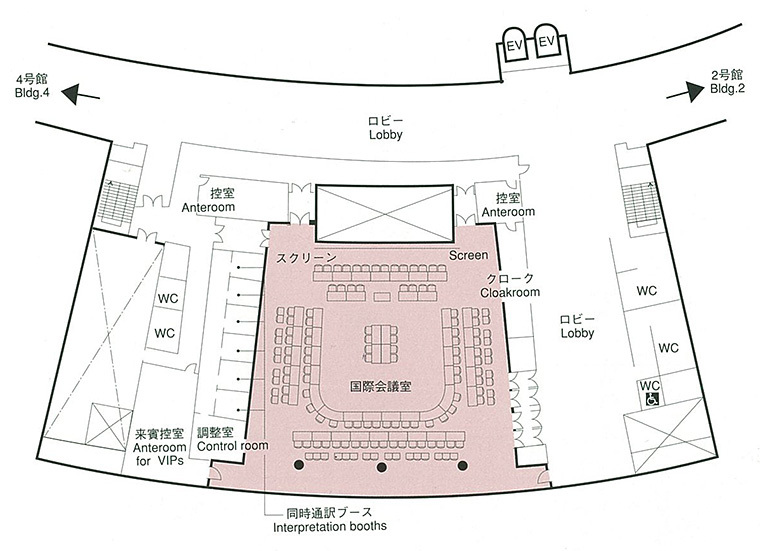 Copyright (c) Nagoya Congress Center, All Rights Reserved.